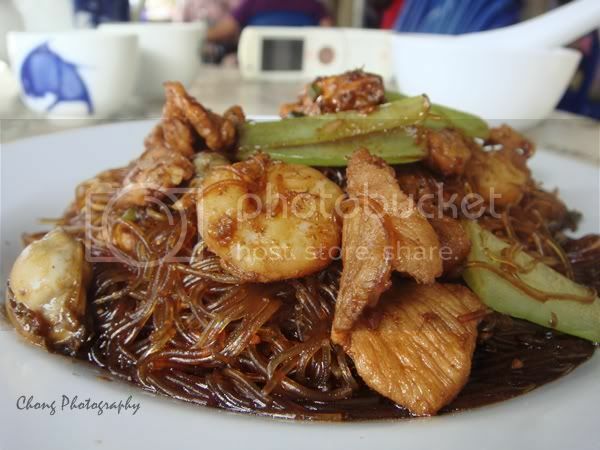 My second Saturday lunch was at Ang Hoay Loh, I were actually just had my brunch an hour before I went to there which occupied at the corner garden space of the State Chinese Association in Perak Road. They have another shop nearby the 5th Road (Goh Tiau Lor) which I went there for times. If you have no time to waste, you better don't try the food, we waited for more than half hour for that. Luckily we found us a table before more people were swarmed in this small little restaurant. My hair, turn brownish under the sun. 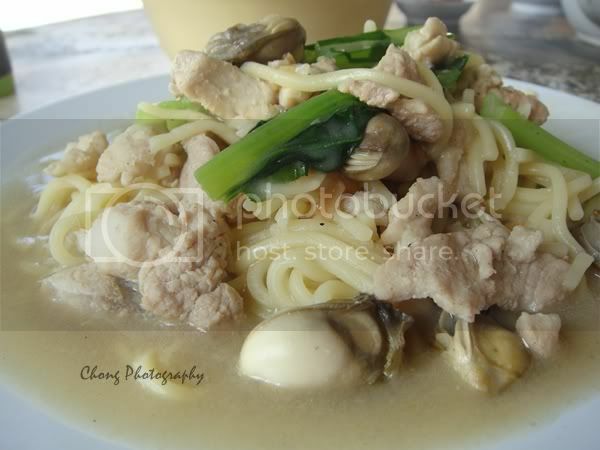 First on the menu was the Oyster Mee served together with plentiful ingredients. Fried Tang Hoon was the next to served up, the taste was totally covered the first dish. 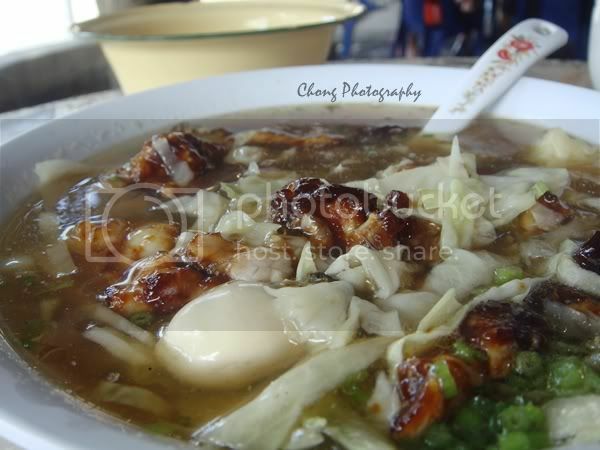 Not to leave out their signature dish, Bak Kee Soup or Chap Kee Soup. Pieces of meat that are deep fried after coated with cornstarch and cooked in a starchy soup with cabbage. Flavourful indeed and highly recommended. These three dishes are more especial among the menu, all served with oysters if you'd noticed, my cholesterol intake for today was totally in the edge. We were then meet up with some friends, fat-chewing for the whole night, I wonder why people have so much to talk with. Bought something that I'm into now. *Jhu* yes, wait you back ha!